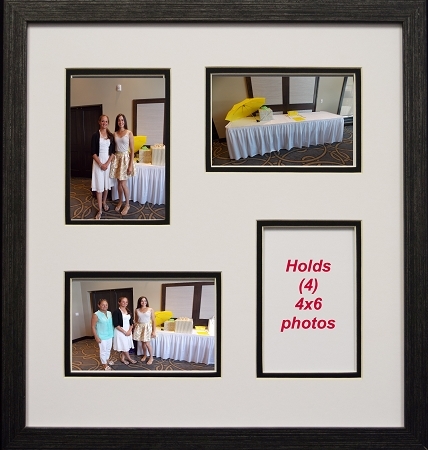 Multi opening collage photo frame holds four 4x6 photos. Custom mat of white and black with 1/4 inch revel of black mat to enhance photos. Black wood textured frame overall size is 16.5 x 17.5 and includes hanging system to wall mount either direction. Includes photo mount board with glass front.